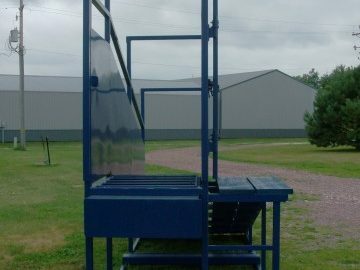 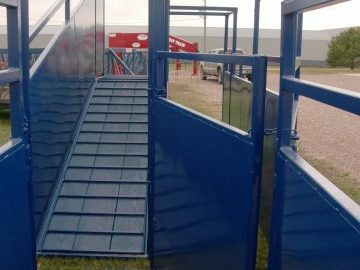 The main gate at the top keeps loaded livestock from running back off the trailer while the secondary gate closes the opening at the side. 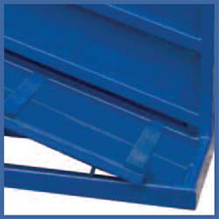 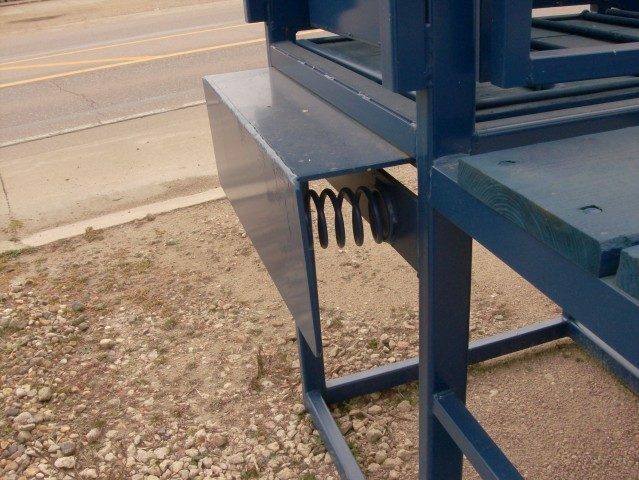 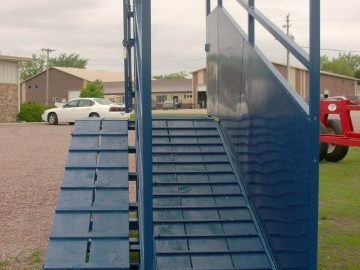 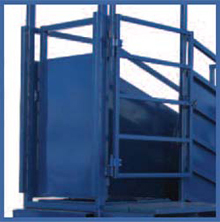 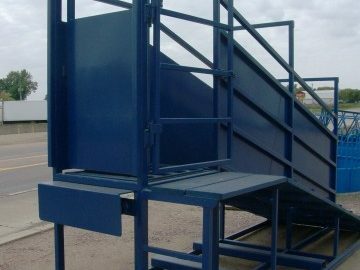 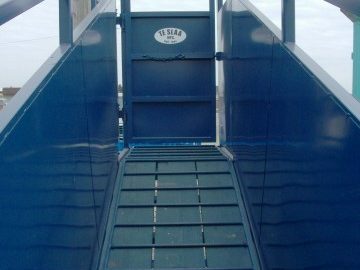 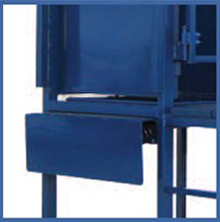 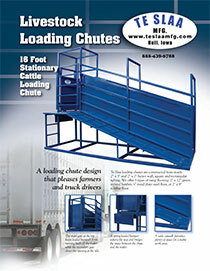 A spring-loaded bumper softens the stop and bridges the space between the chute and the trailer. 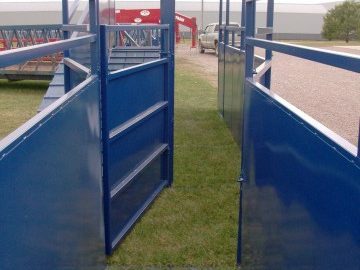 A wide catwalk furnishes plenty of space for a stable work area. 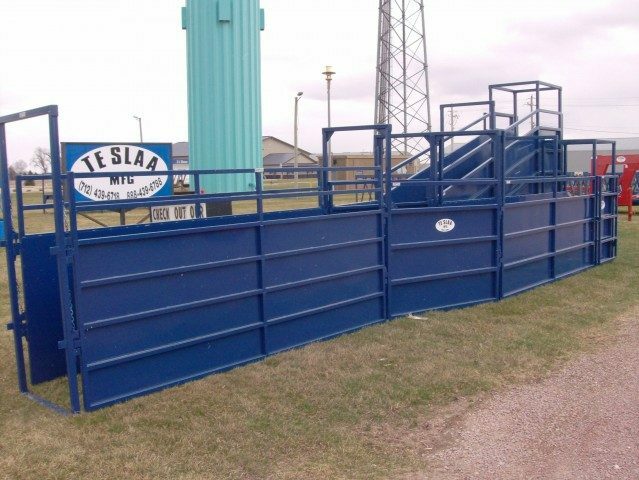 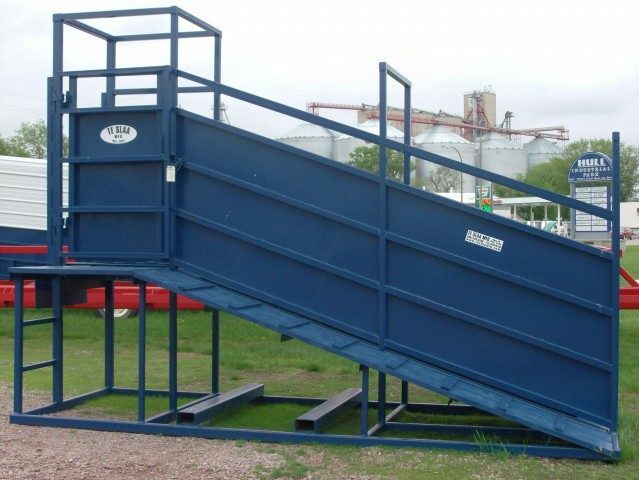 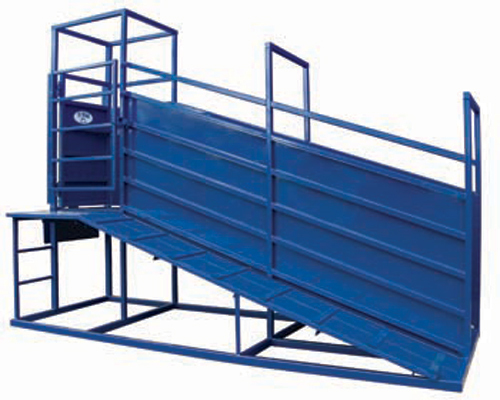 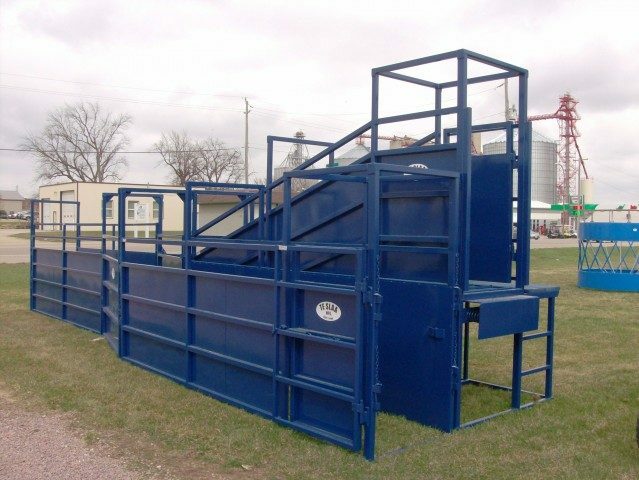 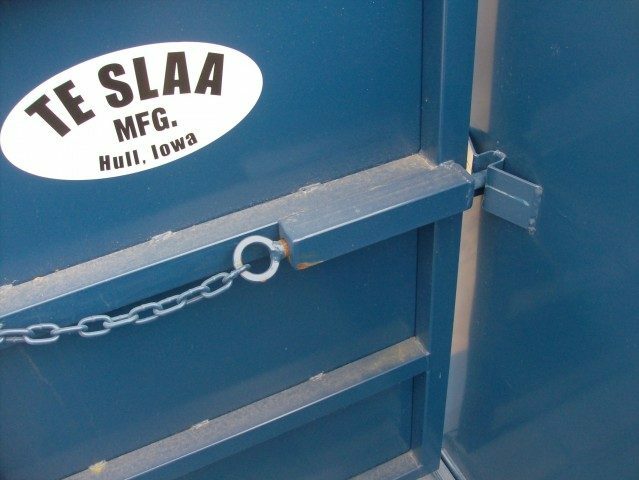 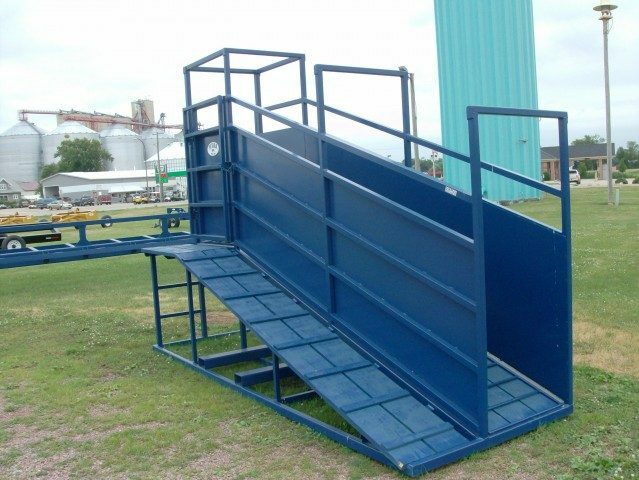 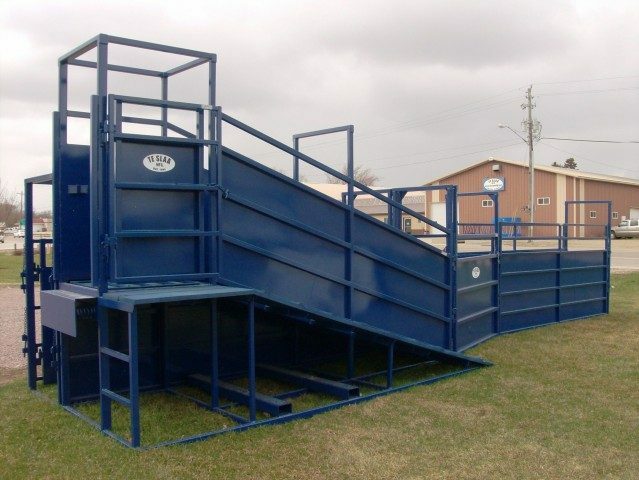 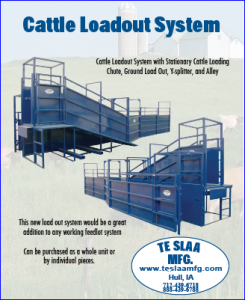 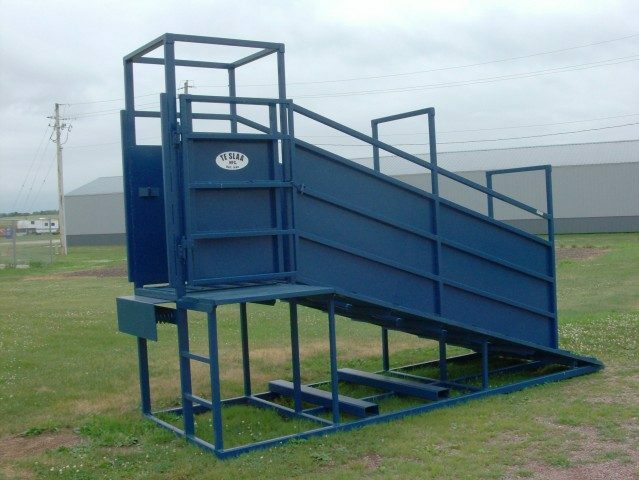 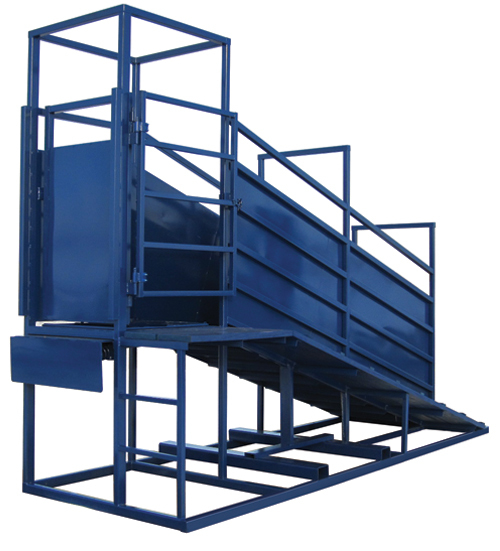 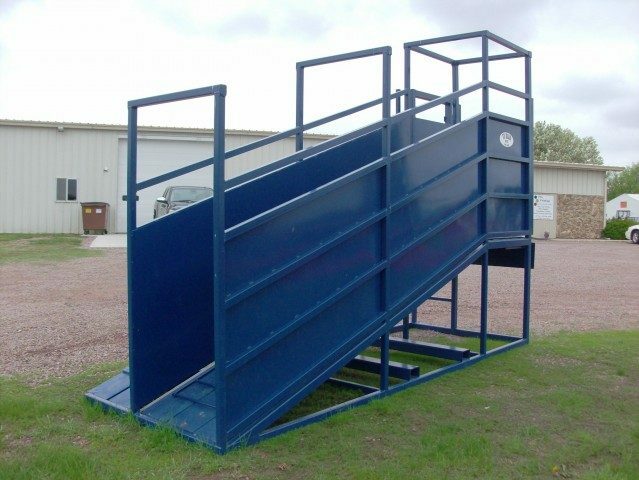 Click Here to view the Cattle Loadout System Brochure.